Aqualux Shine Side Panels. 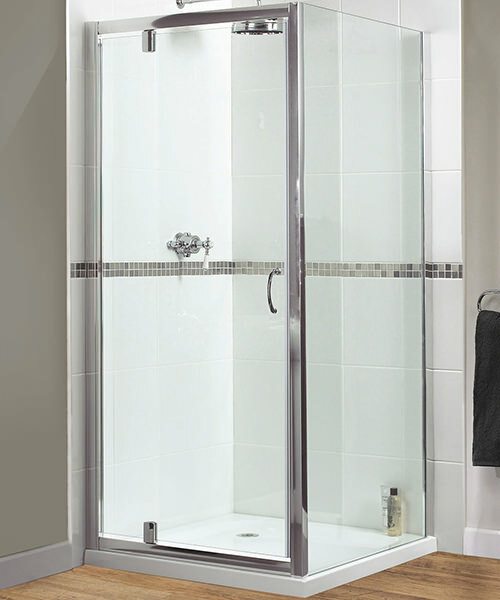 Made from 6mm thick clear glass polished silver finish side panels. Please Note - Image for illustration purpose only. Easy plumb leg kits for above floor installations and also suitable as a platform for tiling. Ideal for when the waste cannot be recessed into the flor. 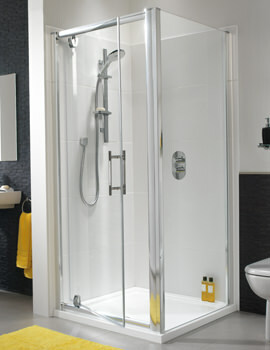 Alternatively the kit can be cased in and tiled for a personalised touch. Please download PDF from technical tab for fitting instruction. 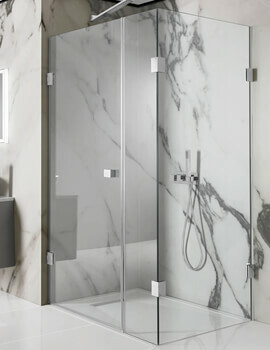 Aqualux Shine Pivot Shower Door is beautifully designed by the brand to enable complete showering. 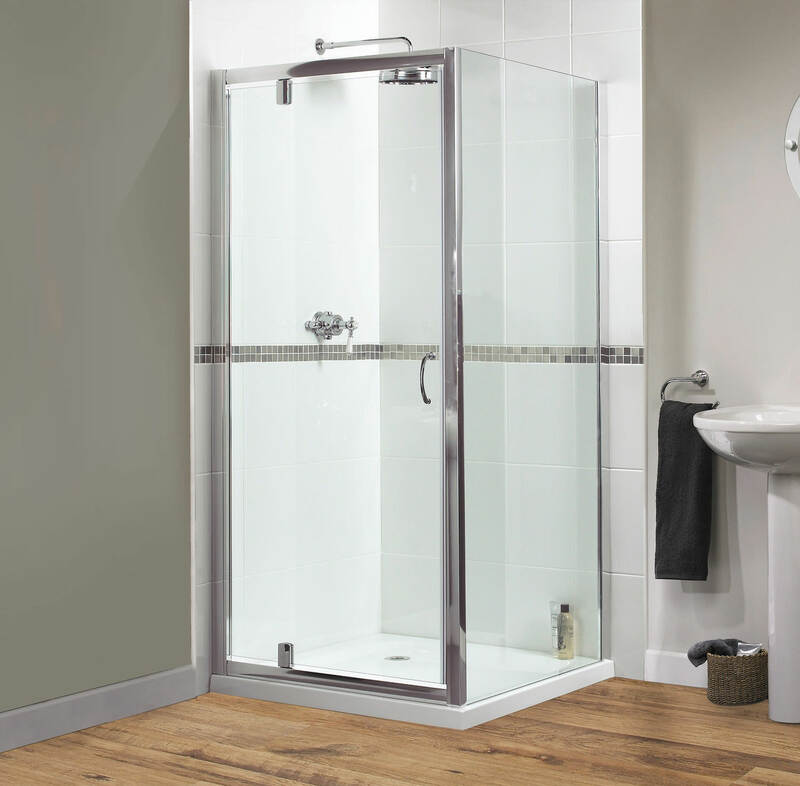 Durably constructed from 6mm thick safety glass, every inch of this remarkable product is ready for use in several interiors. This door is reversible for a left or right-hand fit and can be used with recess or corner fitting. 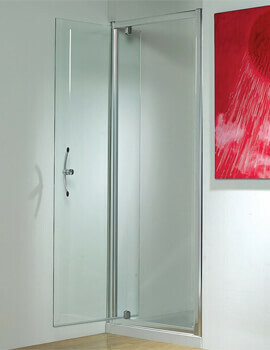 Easy to install, this pivot door also features gel magnet seals for preventing any possible leaks. 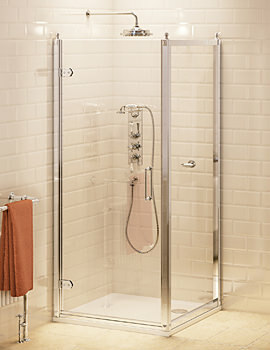 The unit includes a stylish handle and is updated with Aquagleam coating for a crystal clear finish.